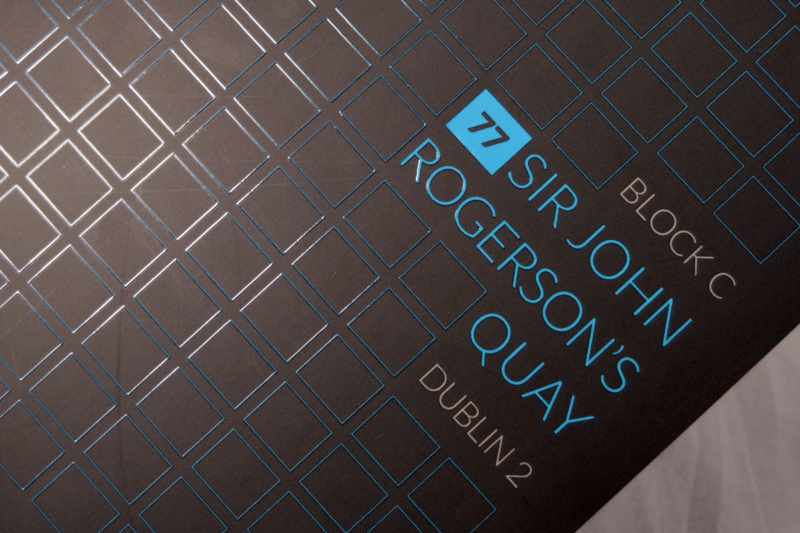 Block C, 77 Sir John Rogerson’s Quay is a prime office building located in the heart of Dublin’s South Docklands. The Docklands has continued to improve and evolve into one of the most sought after locations in Dublin. 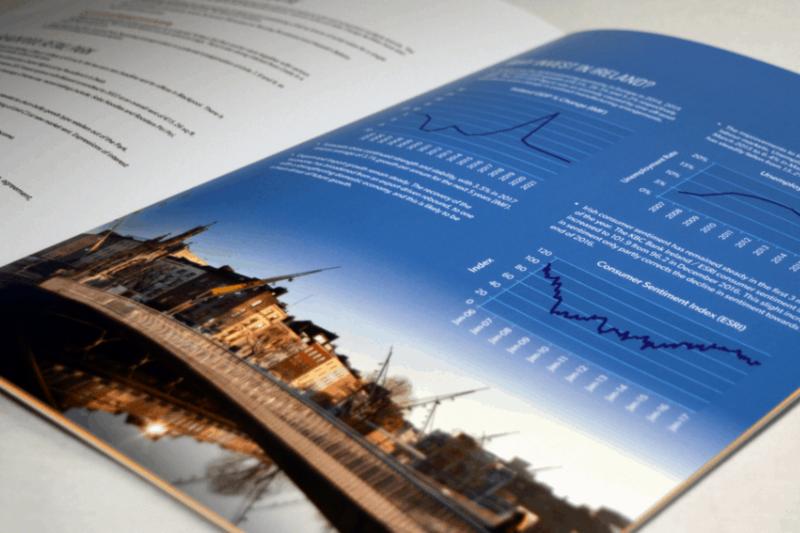 Having recently produced the marketing material for a number of developments based in Dublin, Creativeworld was appointed by renowned global real estate agents Savills. We were instructed to create the marketing material for the office development. 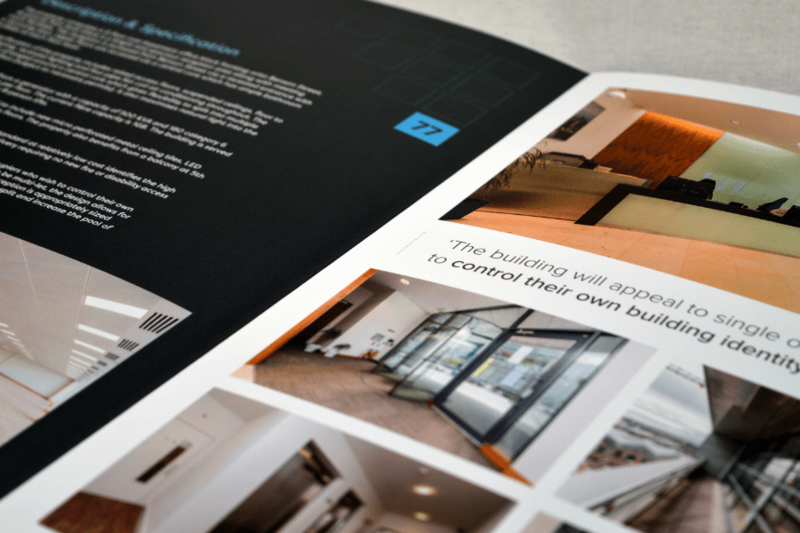 The job was to take this exciting new opportunity to the market with a unique brochure to match the style of the complex. 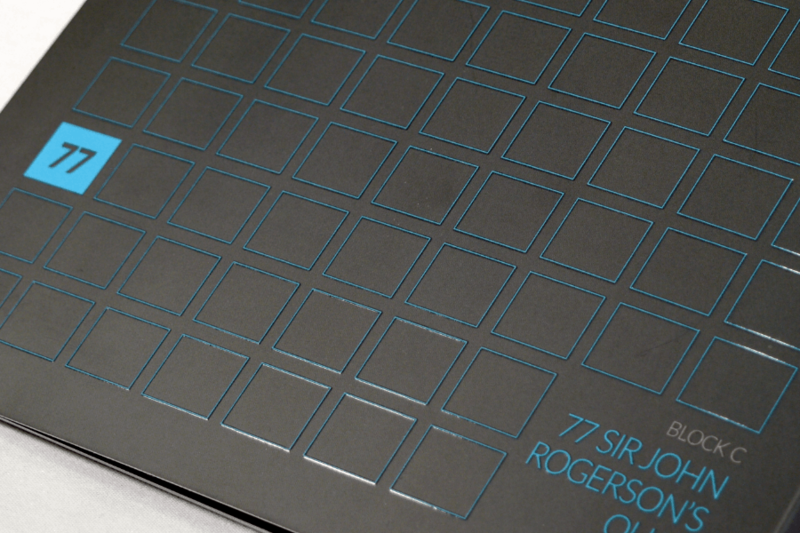 The in-house studio design team Created a Scodex UV design on the front and back cover to match the branding of the office. The brochure itself was matt laminated and featured the popular layflat binding.